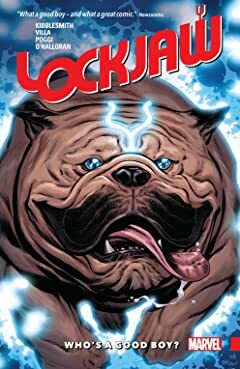 Collects Lockjaw #1-4; Thing (2005) #4; and material From Girl Comics (2010) #2, Original Sins #1 and Inhumans: Once And Future Kings #1-5. At long last, the giant-size dog has his day! 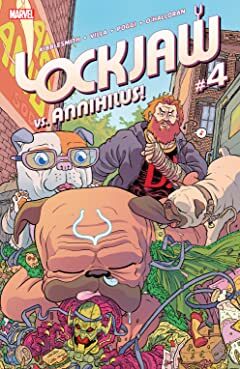 When Lockjaw learns that his long-lost littermates are in danger, he springs into action to save them! Are they Inhuman like him? Can they teleport? Could they possibly be as gosh-darned cute as their big brother? 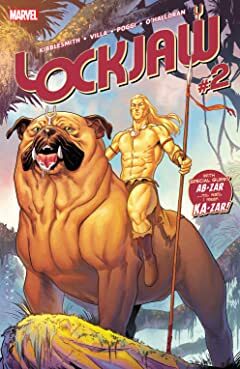 And where is Lockjaw headed with washed-up hero D-Man?! Would you believe the Savage Land! But Zabu, the world's last saber-toothed tiger, isn't happy to see them! 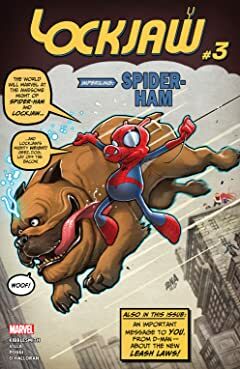 And what the heck does the curly-tailed Spider-Ham have to do with Lockjaw's quest? 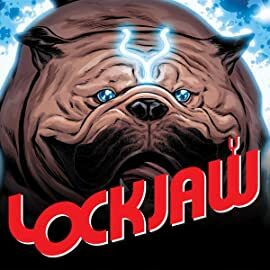 Plus: It's slobberin' time when the Thing spends the day looking after Lockjaw! What a revoltin' development! 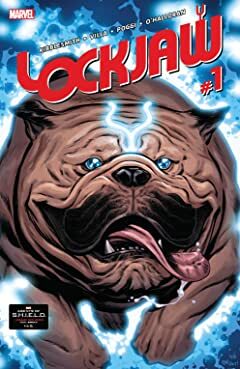 And more shaggy-dog stories featuring the Inhumans' teleporting hound!